Co-Optimus - News - Left 4 Dead 2 Demo Leaks DLC Content Names? 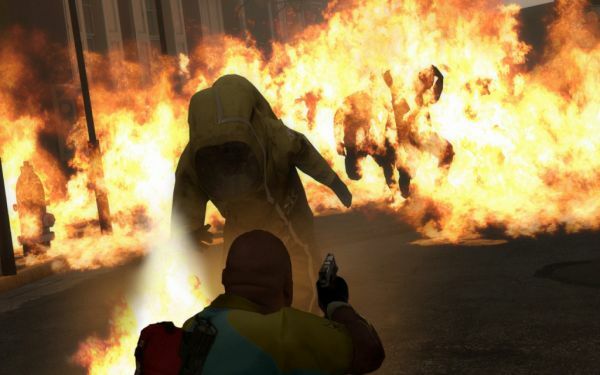 Could Valve already be planning DLC for Left 4 Dead 2? The game isn't even on store shelves yet, but it appears there's at least two content packs in the works thanks to some PC users who decided to dig deep into the recently released demo's content. Inside the text files for the game's demo there are two disabled messages regarding the "Miracle Pack" and the "Apocalyptic Pack." Only time will tell what these mysterious "packs" hold, but it should be good news for people worried about Valve's support for the game. No need to go starting an internet petition or anything. Perhaps Valve just wanted to put out the flames before they started? Thanks Deriaz for the tip!